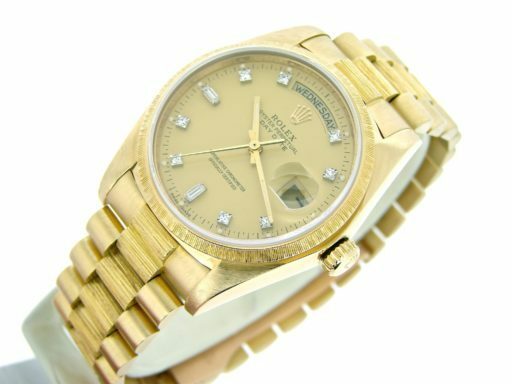 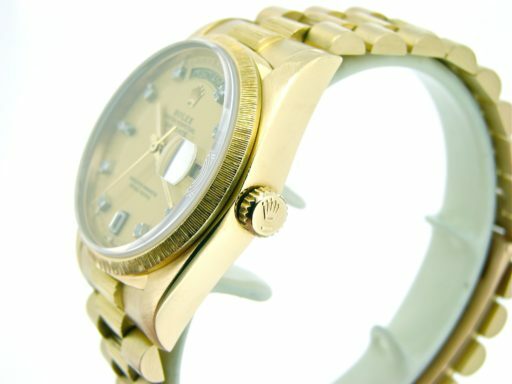 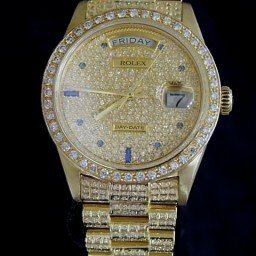 BeckerTime is proud to offer this impressive Men’s 36mm GENUINE ROLEX Solid 18k Yellow Gold Day-Date President Watch ref #18078 with Gold Champagne FACTORY DIAMOND DIAL. 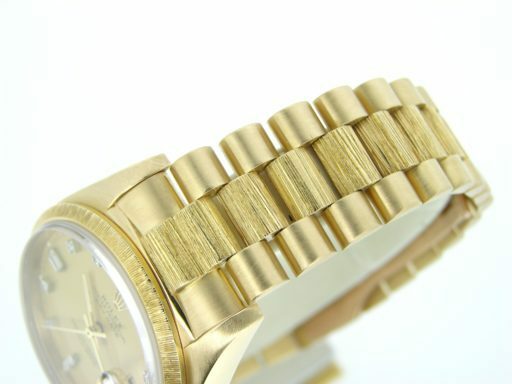 This is the QUICKSET MODEL with the SAPPHIRE CRYSTAL and a Rolex Presidential band with bark finish. 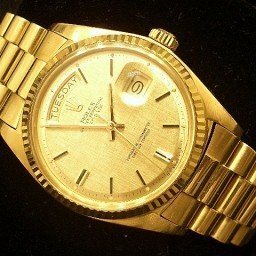 EVERYTHING IS ROLEX! 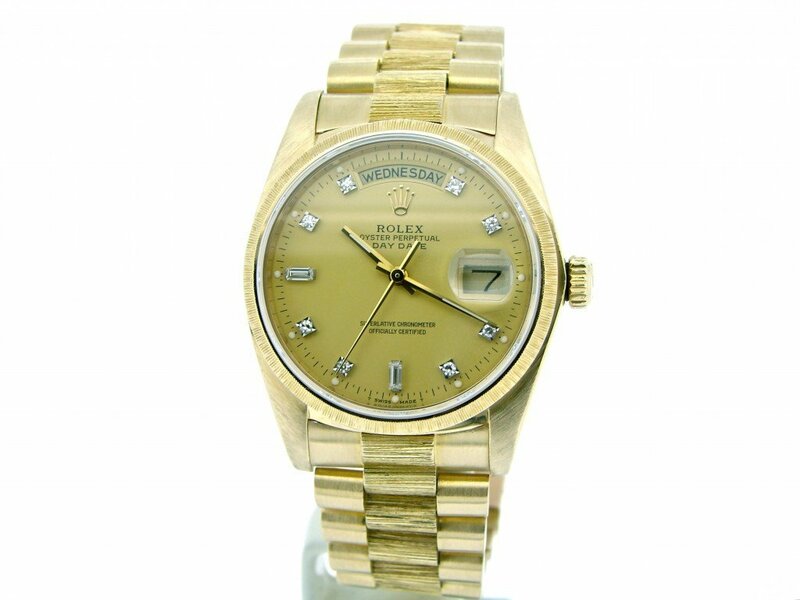 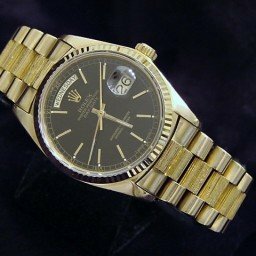 This Rolex is in SUPER EXCELLENT CONDITION. 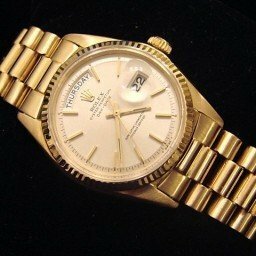 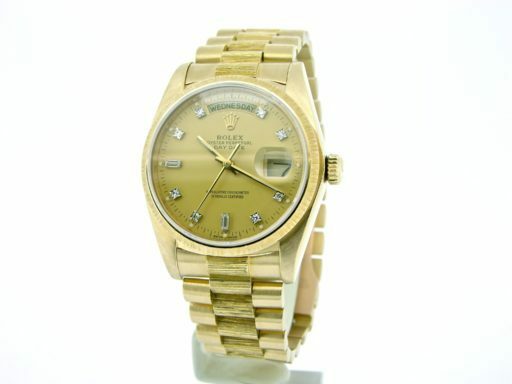 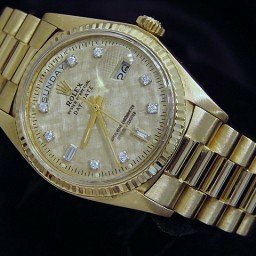 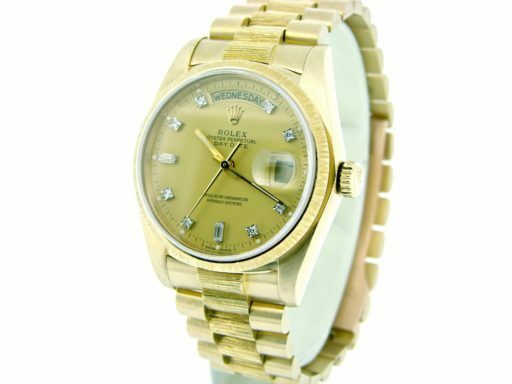 Dial Rolex GOLD CHAMPAGNE dial with 10 genuine diamond markers. 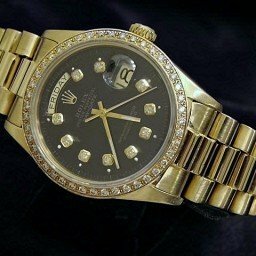 8 round brilliant and 2 baguette diamonds.This is a factory diamond dial produced by Rolex. 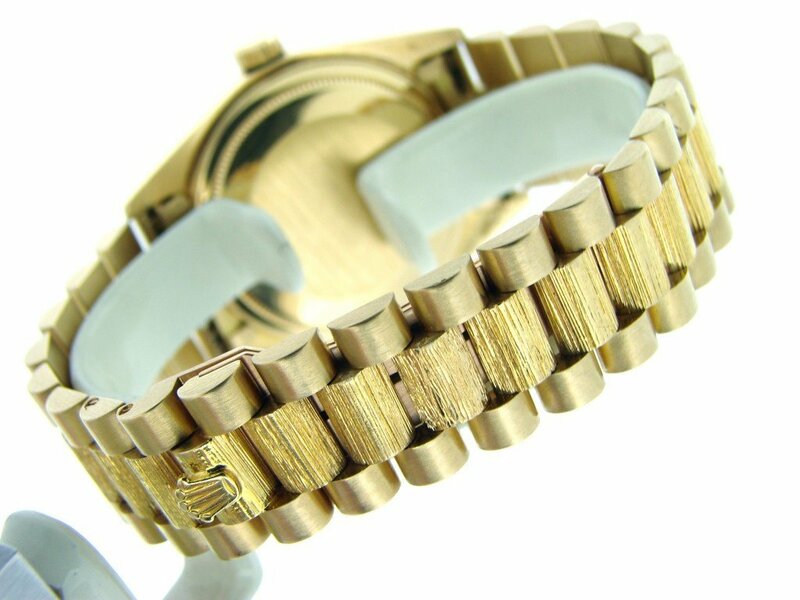 Band Rolex solid 18k yellow gold Presidential bracelet with Rolex signed hidden clasp. 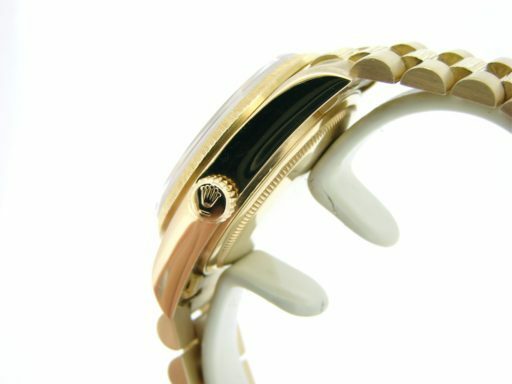 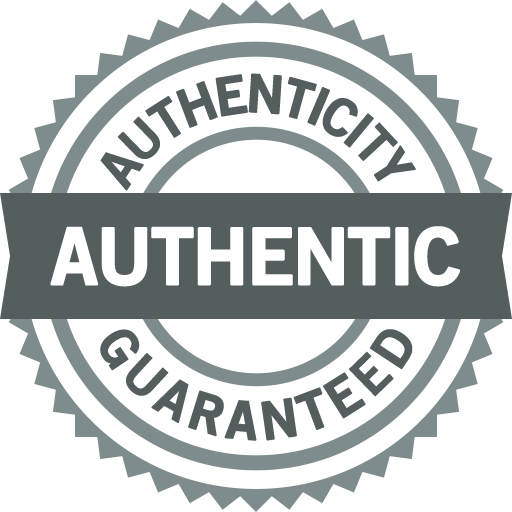 The center links have the special factory bark finish.